Estimated delivery dates include warehouse handling time, and will depend on shipping service selected and receipt of cleared payment. Delivery times may vary, especially during peak periods. NOTE: We ship same day after receiving your cleared payment. The payment is considered “cleared” after the money from the buyer has been deposited into our bank account. Access “My Account / Order Status” at the top right-hand side of our page to check your orders status. 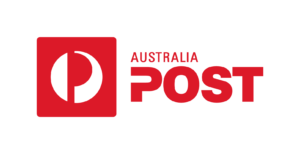 Access: https://auspost.com.au/using-our-tracking-service and enter your tracking number*. *You are going to receive your tracking number after the approval of the request. The item must be in original condition, new, with all labels and tags still attached. For your convenience, you may re-use the packaging original that the item arrived in. The period of requesting exchange is within 8 days after delivery. If you are returning an item and reordering another item (for example. You choose a wrong item and need to change), your return will be credited to the original form of payment and the reorder will be a new transaction. If the information above is not followed, this may result in delays in processing your return. If followed correctly, returned items will be processed within 20-30 working days. In situations that you choose a wrong item, you will be responsible to pay for the return shipping costs. The Item must be with its original packing and closed. Australia Appliance Parts reserve the right to apply re-stocking fee (30% of the purchase total value + return shipping costs). In situations of change of mind the Australia Appliance Parts reserve the right to apply re-stocking fee (30% of the purchase total value + return shipping costs). The time required to complete each process will depend on the status of the purchase. If you received a damaged or faulty item, you should contact us by phone or email within 5 days after successful delivery. We reserve the right to ask for evidence as photos of the item. After the process of Returns, we can send to you a new item or you can ask for the cancellation. We will pay for the return shipping costs if proved that the problem was ours. For every Electrical item, the problem must be fitted by a properly qualified person who carries out electrical repairs. If an electrical item that has been fitted by this qualified person and it had one analysis considered for return, the Australia Appliance Parts will ask for a copy of a work invoice from a qualified person or business. The invoice must state the work carried out, list all parts replaced, and the reason of the electrical item problem. The Australia Appliance Parts reserve the right to have the item tested again when it comes to our warehouse before we make a decision on replacement or refund. We reserve the right to do not do accept the replacement or refund if the Electrical items were fitted and do not fix the problem because of miss diagnosis by either the customer or a properly qualified person.